left: Artwork from Super Mario All-Stars. right: Artwork from Super Mario Advance. Small hearts, also referred to as Hearts, are items found in Super Mario Bros. 2. A small heart would fly out every time eight enemies are killed. When Mario, Luigi, Princess Toadstool or Toad grabs it, they replenish an empty slot in their life meter. They have somewhat the same function as a Mushroom in this game, with two exceptions: Mushrooms both extend and fully replenish the health meter, while small hearts cannot. In the Game Boy Advance version, Super Mario Advance, they are larger. They are also much more common, usually appearing when a thrown object takes out two enemies in a row, from enemies defeated by shells, from beaten Ostros, and from Giant Shy Guys and Giant Ninjis thrown to the ground or beaten. They are also found floating in midair and under grass, referred to as Heart Radishes or Growth Hearts. It also appears in Dance Dance Revolution: Mario Mix. When used, it will refill half of Mario or Luigi's dance meter if it empties. It can be bought at any shop in Story Mode for seventy coins. ↑ Super Mario Advance North American instruction booklet, page 28. 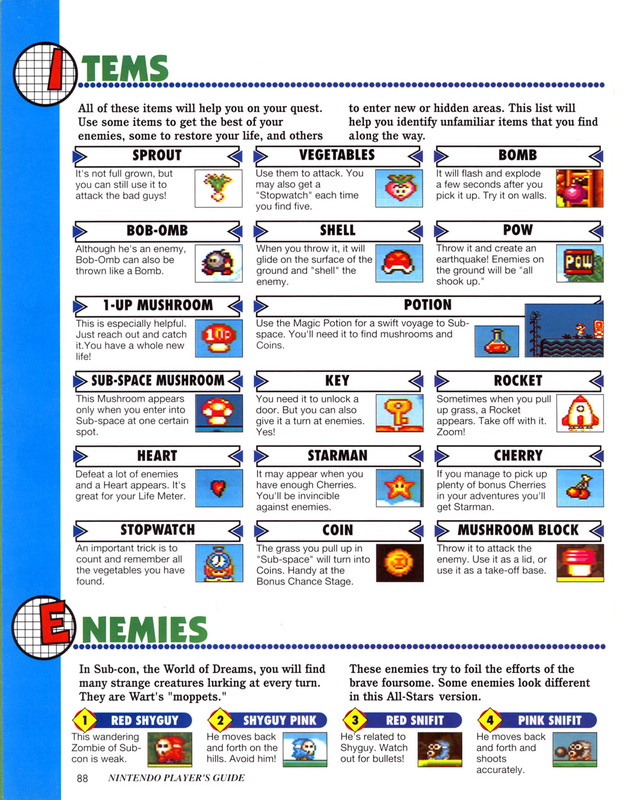 ↑ Super Mario Advance North American instruction booklet, page 26. ↑ Yume Kōjō: Doki Doki Panic instruction booklet, page 25. This page was last edited on January 15, 2019, at 21:57.